How do you make a good towel better? With an improved fit, of course! Wrap yourself with comfort and ease when you step out of the shower; Joy added a little touch of spandex for a snug fit that stays put. Now you can find everything you want in a towel: lasting durability and bleach and cosmetic resistance. 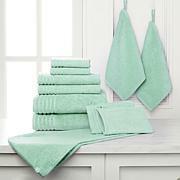 Savor the feel of these plush, pretty, practical towels — thanks, Joy. 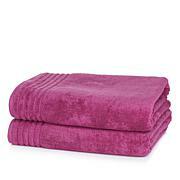 Due to the natural characteristics of cotton and spandex this towel has been made oversized to accommodate shrinkage. For the best experience please wash before your first use. Love these towels. Money saver to wash and dry. Wish you had the stretch in Merlow color. Please bring back the Merlow color. I'd give this product a 10. 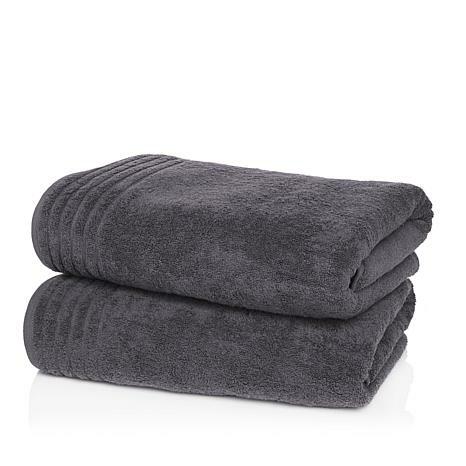 I've used many towels in my whole life that were too short and wasn't big enough to stretch around my body after washing. Then this came along when it aired and I loved it ever since. This is the best towel any man or woman can have and I thank Joy for that. When Joys towels are on special I grab them up! These were a little different with the stretch, but I still luv them! Wash up like a dream!!! 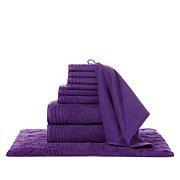 These are the softest most amazing towels Ive ever used! The stretch is perfect for wrapping up and staying snug! 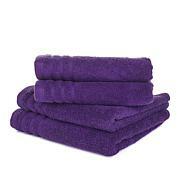 I will never buy any other towels! I love that they will not stain with my face cleansers! Perfect towels! I am large but these are more than sufficient. They wash and dry well and feel good to the touch.